The Norwegian National Rail Administration, owner and responsible for maintaining, operating and developing the Norwegian railway network, has for years received strong criticism. The Office of the Auditor General of Norway has in their reports concluded that the main goals of increased reliability and reduced travel time are not reached. Their reports describe a business that lacks capacity and expertise in railway engineering work which delays the effort to improve the rail network. Other reports describe a business with weak management wasting public money. Important work on the railway network is not being undertaken due to the lack of time, people and management. 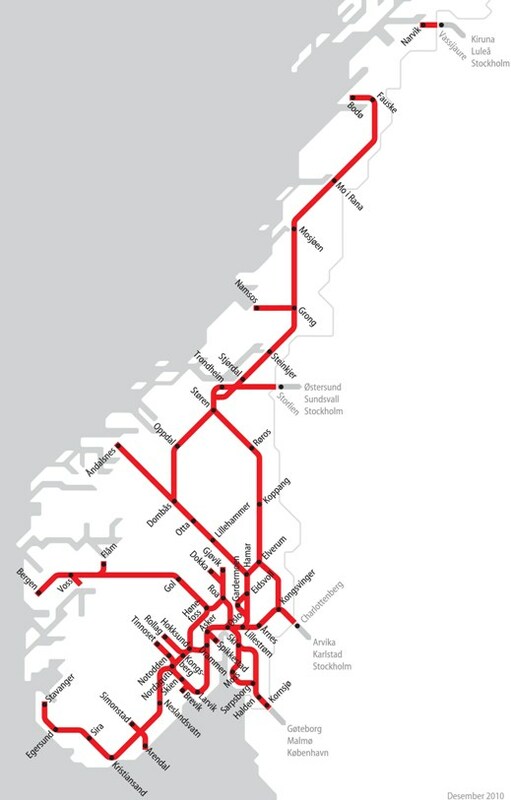 The result is that large parts of the Norwegian railway network is in poor condition. The lines, which mainly consist of single-tracks, are closed for long periods. The term “buss for tog” (bus for train) has become an integral part of the Norwegian language. The National Rail Administrations’ website is in just as bad shape as the railway lines: The overview map published in 2011(!) is at best outdated. Apparently it seems as if the red lines mark tracks in daily use, which is far from the truth. In addition, the map ends in Narvik – even if the distance from Narvik to Vardø in the north, Norway’s easternmost town, is over 1,000 kilometers (620 miles). This region is probably omitted because there is not so much as “a hint of railway” in the counties of Troms and Finnmark. The overview map shows several railway lines that were closed down decades ago. An example is the Namsos Line. 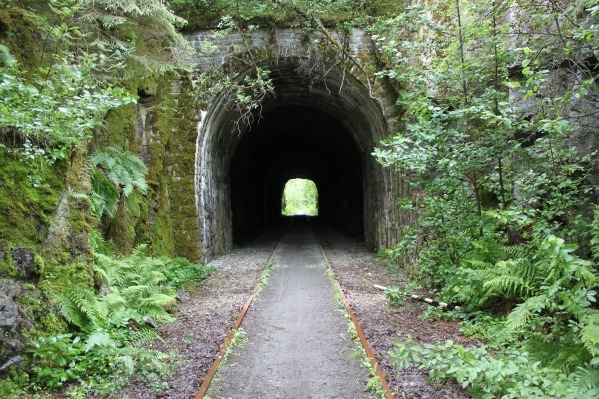 The 52 kilometer railway was closed for ordinary passenger traffic in 1978, freight trains in 2000 – and it is a great advantage to be clairvoyant if you want to localize the track. The good news is that a few kilometers are in fairly good condition, and you can hire a rail-cycle draisine at the local campsite. The bad news is that you have to hand it back exactly where you rented it. If you want to experience Norway from a train window, ThorNews recommends that you carefully check the status messages on Norwegian State Railways’ (NSB) website – so you do not have to spend hours in a bus on winding roads. An excellent option to train is domestic flight. There are 26 small regional airports as well as bigger airports nearby major cities. You save a lot of time and frustration, and the view is breathtaking!